SUBHEAD: Visualizing the status of the whirlpooling increase of world government debt to GDP. Image above: Click to enlarge. Swirling around the drain-hole of history are the national economies in red with between 50% and over100% of government debt to Gross Domestic Product (GDP). 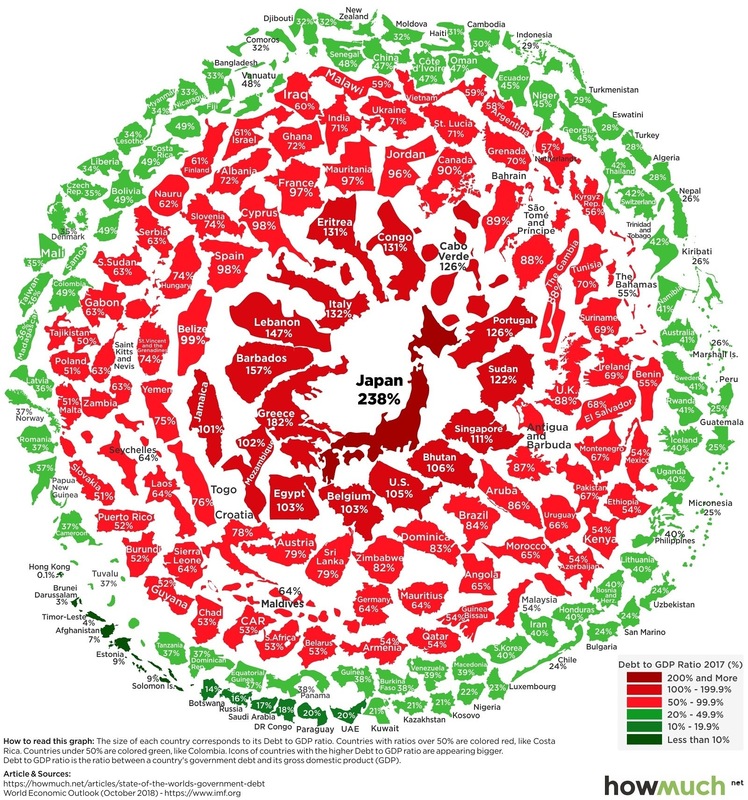 From (https://www.visualcapitalist.com/visualizing-the-snowball-of-government-debt/).